Sometimes, you hear something that just sticks with you, you know? I remember reading about Jim Elliot when I was in high school, and stumbling across this simple quote that resonated so deeply with me. And let me tell ya, I have clung to it. 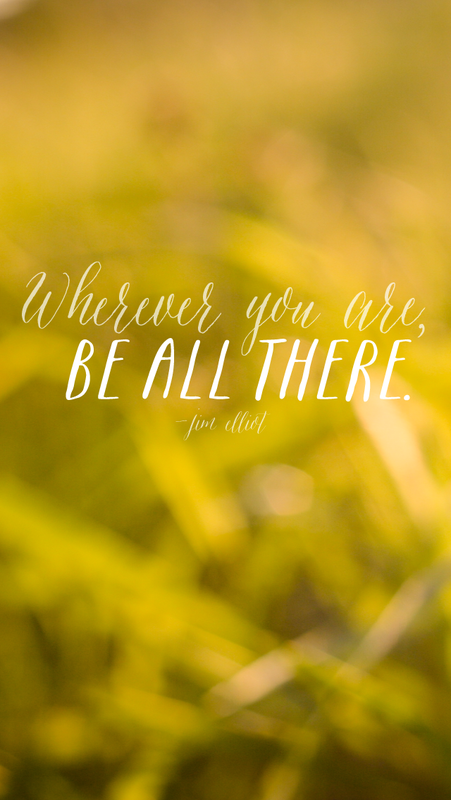 He says, "Wherever you are, be all there! Live to the hilt every situation you believe to be the will of God." If I had a life motto, this would be it.